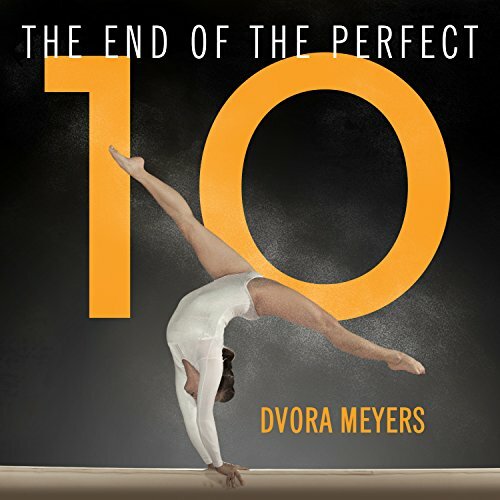 For years gymnastics was scored on a 10.0 scale. When this scoring system caused major judging controversies at the 2004 Olympics, international elite gymnastics made the switch to the open-ended scoring system it uses today, forever altering the sport in the process. Gymnastics insider Dvora Meyers examines the evolution of elite women's gymnastics over the last few decades. With insight, flair, and a boundless love for the sport, Meyers answers questions that gymnastics fans have been asking since the last perfect score was handed out over 20 years ago. 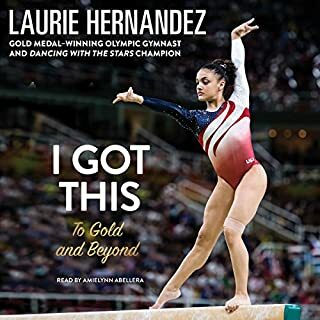 She reveals why successful female gymnasts are older and more athletic than they have ever been before, how the United States became a gymnastics powerhouse, and what the future of gymnastics will hold. Great book, unbiased and thorough. Good information from the inception of the sport to the near present, and not just about the Americans. Huge issues to name pronunciation though! It's spelled Martha but we all know it's pronounced Marta... and sometimes name pronunciations would change from sentence to sentence, like Iordache and Peszek. Real killer on the ears. But I wouldn't let that deter you from listening... it's really a good read, just be prepared. Meyers' book is well-researched and interesting, but I wish I hadn't used an Audible credit on it and had instead borrowed or purchased a printed copy! The reader's performance is absolutely atrocious. As at least one other reviewer has noted, her voice sounds at times like a computer, which is strange. And her pronunciation of the gymnasts' and coaches' names are cringe-worthy enough that I almost quit listening several times. 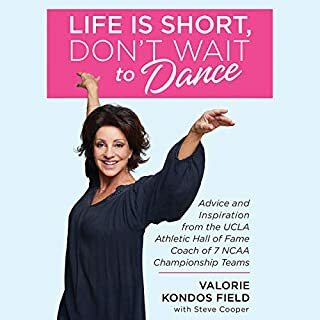 Martha Karolyi pronounced "Martha" instead of "Marta," Dominique Moceanu pronounced "Mose-anu," Mary Lou "Redden" instead of "Retton..."
I'd recommend reading this one instead of listening to it for sure! Meyer's history of gymnastic's iconic score and the development of the sport in the US will change any lay viewer into a super fan. The insightful book covers everything from the first ten to the NCAA collegiate system. I've admittedly listened to the book three times now, but find it fresh and entertaining each time. With the exception of some mispronunciation of names, the performance is stellar. I would highly recommend for anyone, regardless of their gymnastics background. The book goes into a very technical discussion at the beginning. also, it seems like everything had been covered in the first 4 chapters, but then goes into other areas which are related to the perfect 10 score. 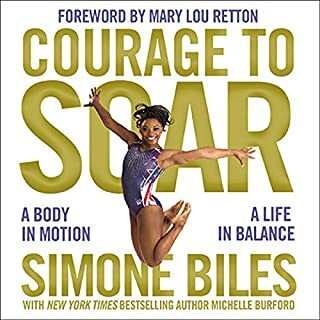 I thought I knew quite a bit about gymnastics until I listened to this book. Fantastic. It's informative and entertaining. If you are looking to learn some history about gymnastics, this is definitely the book for you. The narrator does the authors work a disservice in my opinion. She consistently mispronounces athletes' names making many of them unrecognizable. Furthermore she sounds like a computerized voice or a robot. Too bad because the book is pretty good. 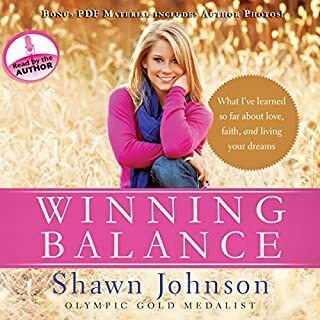 I've always loved gymnastics and figure skating so seeing this right before the Olympic trials seemed like a great thing to listen to leading up to that event. I really liked it a lot and as a casual fan of gymnastics I also learned a lot about the sport. 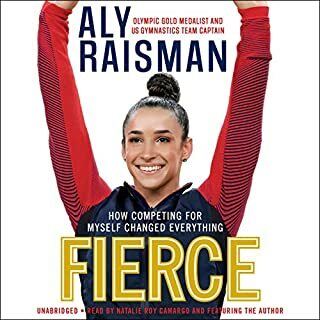 I could see how serious fans of gymnastics wouldn't get the same out of this book that I did but it also doesn't seem to be written for that audience either. I read another comment complaining about pop culture references made frequently in the book, but as they were written to help lay-people (like me) understand the evolving sport in a relatable way I found them useful for the most part. The only thing I would add to the print edition is a list of performances to watch on YouTube as I found myself frequently stopping the book to go and YouTube specific performances and gymnasts to have any idea what was being referenced in the book, and I'm glad I did! I was born well after the Nadia years and had no idea who the author was talking about when she referenced any athlete or coach before the 1996 magnificent seven years (with the exception of Nadia and Mary Lou of course!). Overall a very enjoyable listen, I will probably listen again at some point as there was really quite a bit discussed!